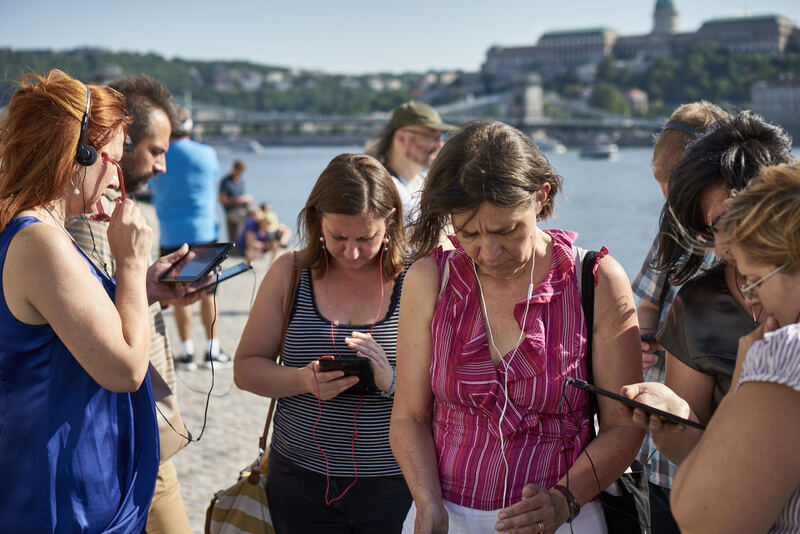 With 21 participants and one observer, USC Shoah Foundation’s Teaching with Testimony in the 21st Century Master Teacher program in Budapest got off to its biggest start yet earlier this month. 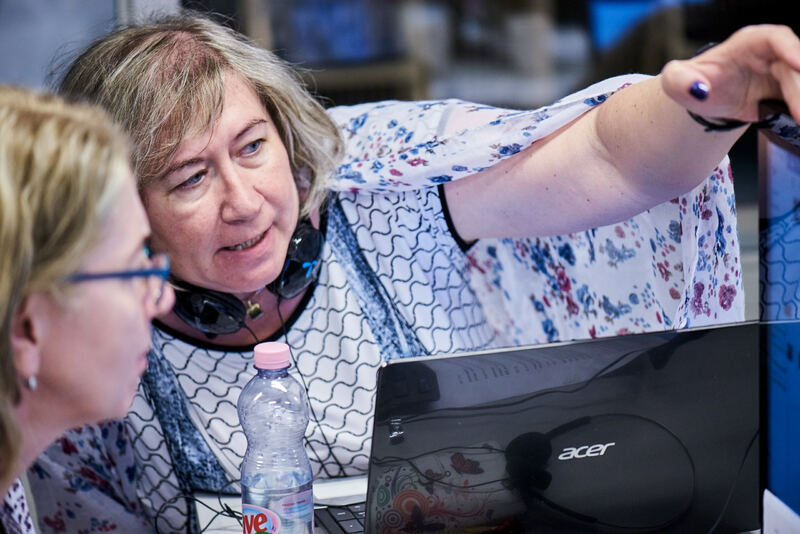 This is the sixth annual edition of the Master Teacher program in Hungary, and its longevity and popularity resulted in the largest cohort so far. USC Shoah Foundation’s flagship professional development initiative, it is a two-year program that incorporates workshops, mentoring, and community building to prepare secondary school educators to search for and utilize testimony from the Visual History Archive, as well as digital learning tools such as IWitness. 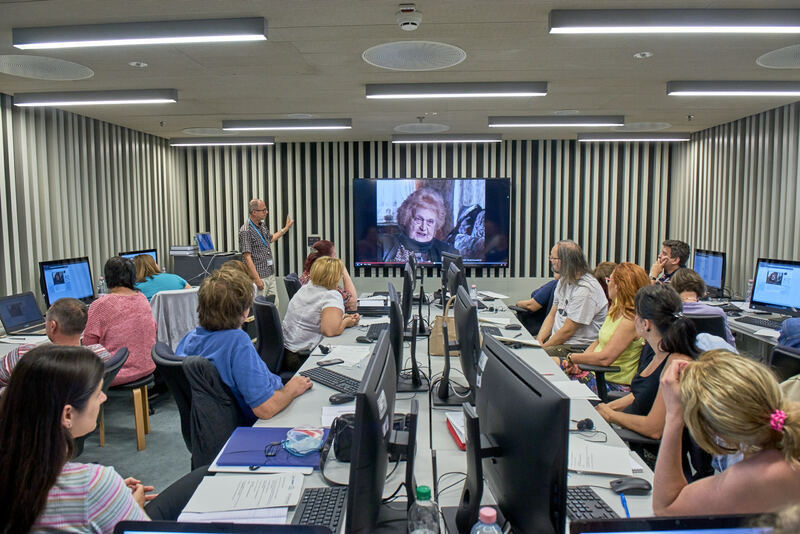 The initial session was held in the new, modern library at Central European University, July 2-7. Once again, participants (including middle and high school teachers) came from all over the country. 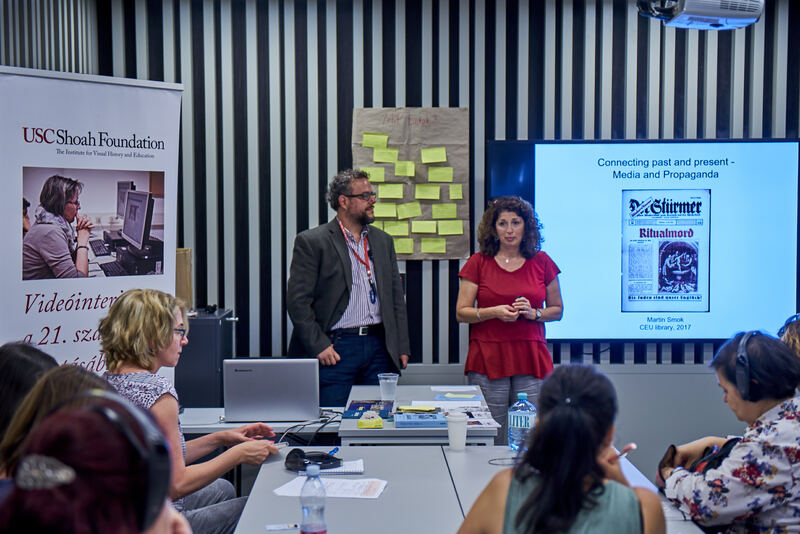 Program organizer and USC Shoah Foundation Hungarian regional consultant Andrea Szőnyi said the program was more focused on IWitness this year, introducing teachers to its Hungarian-language activities and strategies for constructing their own activities in IWitness. Dr. László Csősz, Historian of the Holocaust (Hungarian National Archives) presented about Memory Culture, Political and Social Memory. 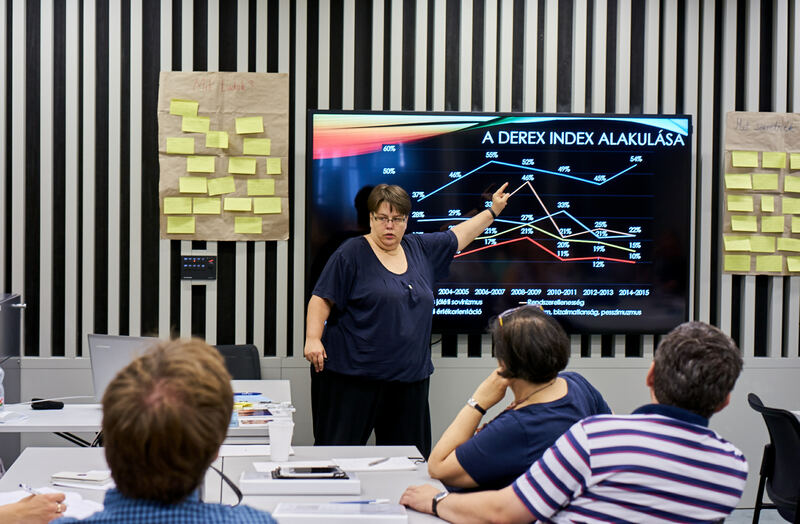 Dr Ildikó Barna, sociologist at Eötvös Loránd University, gave a talk about Layers of Antisemitism in Current Hungary. Martin Smok, USC Shoah Foundation’s Czech regional consultant, spoke about Media and Propaganda and Ethical Editing. 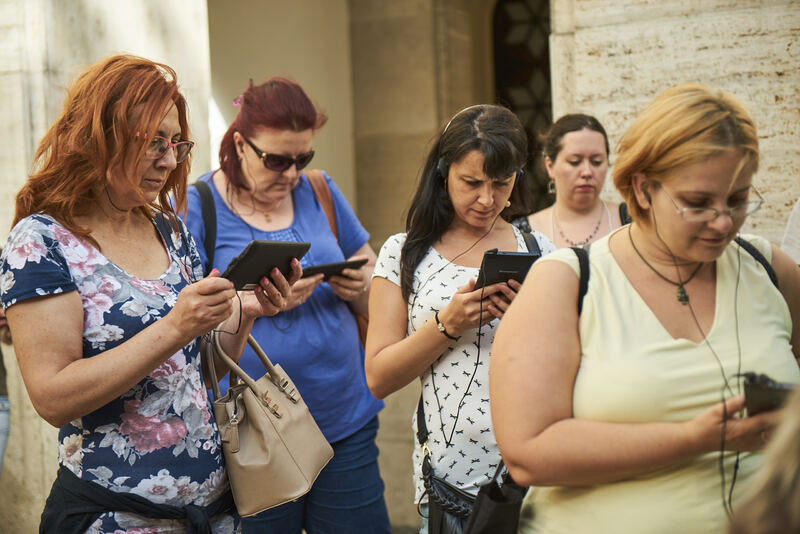 Other topics included - introduction to USC Shoah Foundation and the Visual Histpry Archive, methodology and pedagogy of teaching with testimony, the constructivist theory of education, developing testimony-based lessons, and the participants took part in two IWalks. Szőnyi said this year’s cohort is extremely committed and took every moment of the session very seriously. "If a teacher devotes a week of their [long]-waited and never-long-enough vacation time for professional development - there must be something in that training. This week I participated in an unbelievably rich, intensive and very important training called "Teaching with Testimony in the 21st Century.” I learned a lot about the past, about the world, about myself and thus about the present as well. The work is not finished, this is really the beginning which I do not mind at all. There is at least one training in Hungary today that motivates me to want to go back to teach in the first week of July. This I call "hope.” Thank you!" The group will reconvene in a year to share the lesson plans they started developing during the initial session that they’ll pilot in their classrooms during the upcoming school year.